“There are still 2-3 states which are still skeptical about Albania, but the majority of European member states believe that Albania should be given a date for the start of the EU accession talks”. This declaration was made from Tirana by the Bulgarian PM, Boyko Borissov during a joint press conference with his Albanian counterpart. Meanwhile, the Bulgarian PM also added that “we should make intensive efforts to convince the remaining countries until the end of June”. Let us recall that since January 1st, Bulgaria holds the rotating presidency of the European Union. “Albania deserves to be given a chance for the opening of negotiations”, he added. 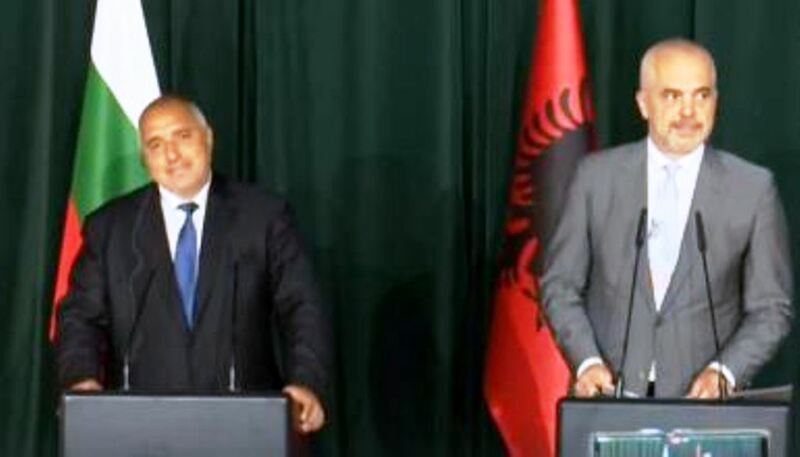 Meanwhile, as far as cooperation between Balkan countries is concerned, Borissov said that the more the countries are connected to each other, the bigger the perspectives are for investments, peace and prosperity. The Bulgarian PM said that with the Albanian PM, he talked about the strengthening of bilateral cooperation and the possibility of organizing a forum of investors with tourism at the top of the agenda. Also, according to him, Bulgaria is an excellent example as far as the absorption of EU funds is concerned, therefore Albania needs to learn from this experience. On his part, PM Edi Rama said that Bulgaria has advocated for Western Balkans, especially for Albania and Macedonia during its rotating EU presidency. According to him, this Balkan country has done extraordinary efforts by putting Western Balkans at the top of its EU rotating presidency agenda.